In the early days of artificial intelligence, Ng says, the prevailing opinion was that human intelligence derived from thousands of simple agents working in concert, what MIT’s Steve Minsky called “The Society of Mind.” To achieve AI, engineers believed, they would have to build and combine thousands of individual computing modules. One agent, or algorithm, would mimic language. Another would handle speech. And so on. It seemed an insurmountable feat. 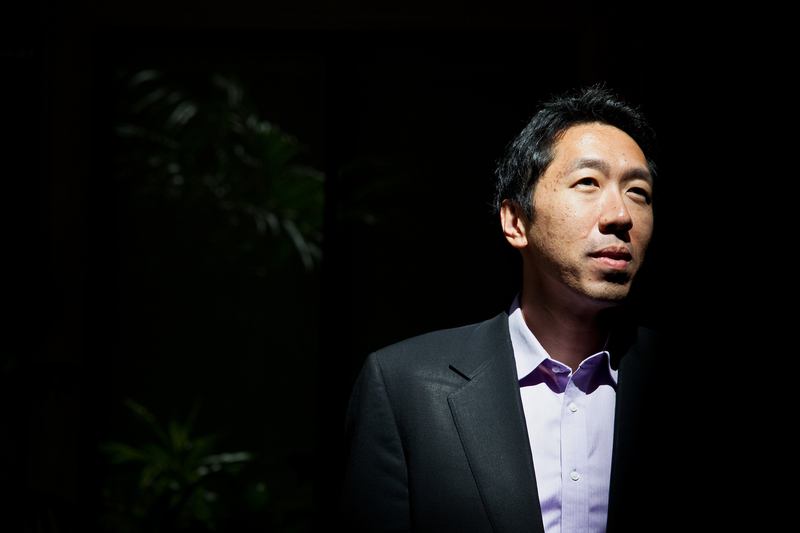 When he was a kid, Andrew Ng dreamed of building machines that could think like people, but when he got to college and came face-to-face with the AI research of the day, he gave up. Later, as a professor, he would actively discourage his students from pursuing the same dream. But then he ran into the “one algorithm” hypothesis, popularized by Jeff Hawkins, an AI entrepreneur who’d dabbled in neuroscience research. And the dream returned. It was a shift that would change much more than Ng’s career. Ng now leads a new field of computer science research known as Deep Learning, which seeks to build machines that can process data in much the same way the brain does, and this movement has extended well beyond academia, into big-name corporations like Google and Apple. In tandem with other researchers at Google, Ng is building one of the most ambitious artificial-intelligence systems to date, the so-called Google Brain. This movement seeks to meld computer science with neuroscience — something that never quite happened in the world of artificial intelligence. “I’ve seen a surprisingly large gulf between the engineers and the scientists,” Ng says. Engineers wanted to build AI systems that just worked, he says, but scientists were still struggling to understand the intricacies of the brain. For a long time, neuroscience just didn’t have the information needed to help improve the intelligent machines engineers wanted to build. What’s more, scientists often felt they “owned” the brain, so there was little collaboration with researchers in other fields, says Bruno Olshausen, a computational neuroscientist and the director of the Redwood Center for Theoretical Neuroscience at the University of California, Berkeley. The end result is that engineers started building AI systems that didn’t necessarily mimic the way the brain operated. They focused on building pseudo-smart systems that turned out to be more like a Roomba vacuum cleaner than Rosie the robot maid from the Jetsons. But, now, thanks to Ng and others, this is starting to change. “There is a sense from many places that whoever figures out how the brain computes will come up with the next generation of computers,” says Dr. Thomas Insel, the director of the National Institute of Mental Health. Deep Learning is a first step in this new direction. Basically, it involves building neural networks — networks that mimic the behavior of the human brain. Much like the brain, these multi-layered computer networks can gather information and react to it. They can build up an understanding of what objects look or sound like. With Deep Learning, Ng says, you just give the system a lot of data “so it can discover by itself what some of the concepts in the world are.” Last year, one of his algorithms taught itself to recognize cats after scanning millions of images on the internet. The algorithm didn’t know the word “cat” — Ng had to supply that — but over time, it learned to identify the furry creatures we know as cats, all on its own. This approach is inspired by how scientists believe that humans learn. As babies, we watch our environments and start to understand the structure of objects we encounter, but until a parent tells us what it is, we can’t put a name to it. No, Ng’s deep learning algorithms aren’t yet as accurate — or as versatile — as the human brain. But he says this will come.